There is not enough darkness in all the world to put out the light of one small candle…..In moments of discouragement, defeat or even despair, there are always certain things to cling to. Little things usually: remembered laughter, the face of a sleeping child, a tree in the wind – in fact, any reminder of something deeply felt or dearly loved. No man is so poor as not to have many of these small candles. When they are lighted, darkness goes away and a touch of wonder remains. 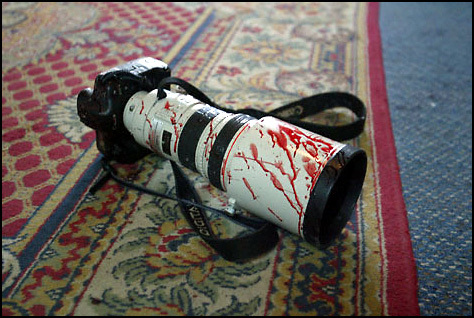 This page is dedicated to all the photographers who faced, or suffered, death or injury to bring to the light of day the truth that would have otherwise been hidden from our eyes.